Here Counted Cross Stitch kit from the Mindful Moments range at DMC designed by Mr X Stitch. Kit includes DMC 6 strand mouline thread, 14 count aida, counted cross stitch chart and key, coloured cross stitch guide, instructions, needle and ready to hange wooden embroidery hoop. Level: Easy. Approx design size - 9 x 8cm (3.5 x 3.75") diameter RRP £14.99. 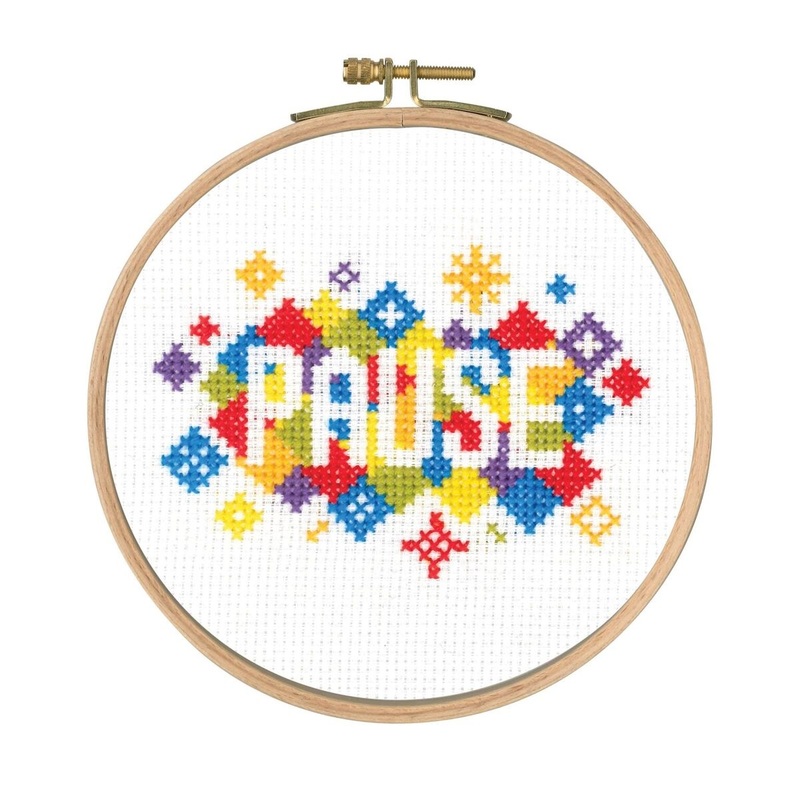 Pause Counted Cross Stitch kit from the Mindful Moments range at DMC designed by Mr X Stitch. Kit includes DMC 6 strand mouline thread, 14 count aida, counted cross stitch chart and key, coloured cross stitch guide, instructions, needle and ready to hange wooden embroidery hoop. Level: Easy. Approx design size - 9.5 x 6.5cm (3.75 x 2.5") diameter RRP £14.99. 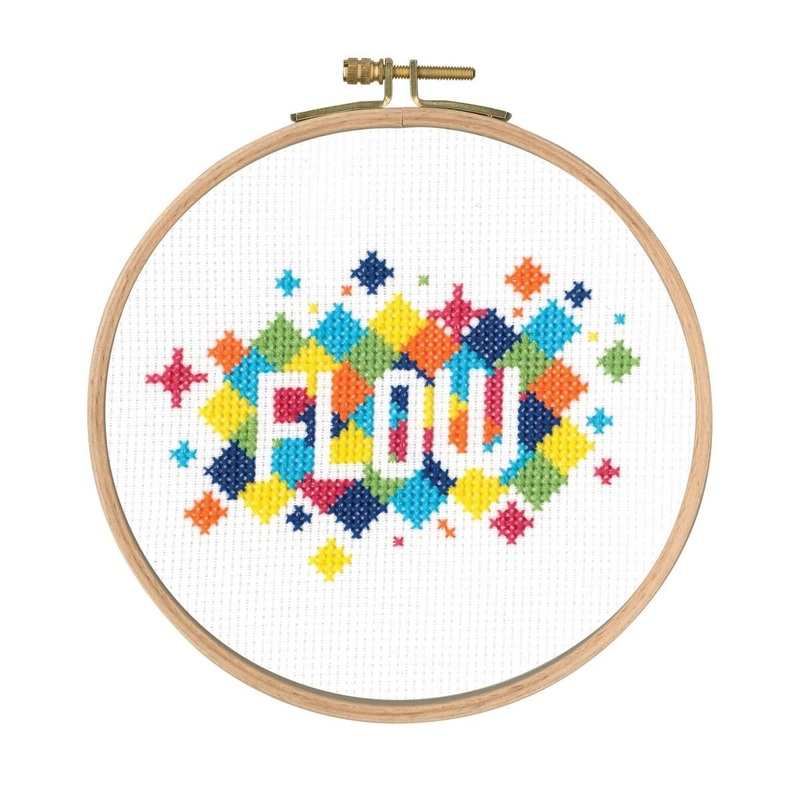 Flow Counted Cross Stitch kit from the Mindful Moments range at DMC designed by Mr X Stitch. Kit includes DMC 6 strand mouline thread, 14 count aida, counted cross stitch chart and key, coloured cross stitch guide, instructions, needle and ready to hange wooden embroidery hoop. Level: Easy. Approx design size - 10 x 7cm (4.25 x 2.75") diameter RRP £14.99. 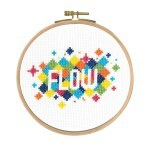 Now Counted Cross Stitch kit from the Mindful Moments range at DMC designed by Mr X Stitch. 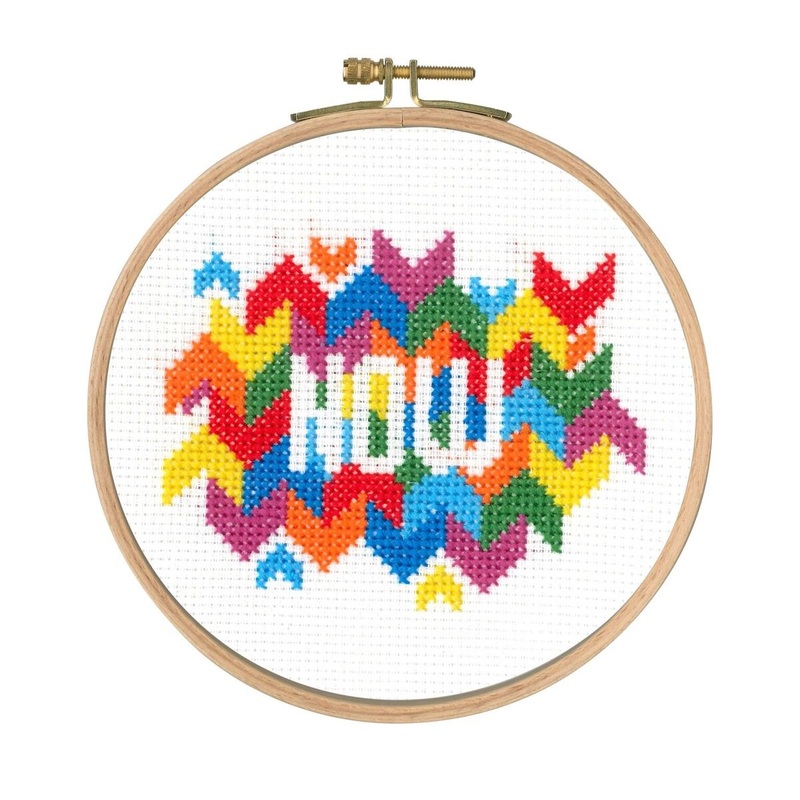 Kit includes DMC 6 strand mouline thread, 14 count aida, counted cross stitch chart and key, coloured cross stitch guide, instructions, needle and ready to hange wooden embroidery hoop. Level: Easy. Approx design size - 10 x 7.5cm (3.75 x 3") diameter RRP £14.99.